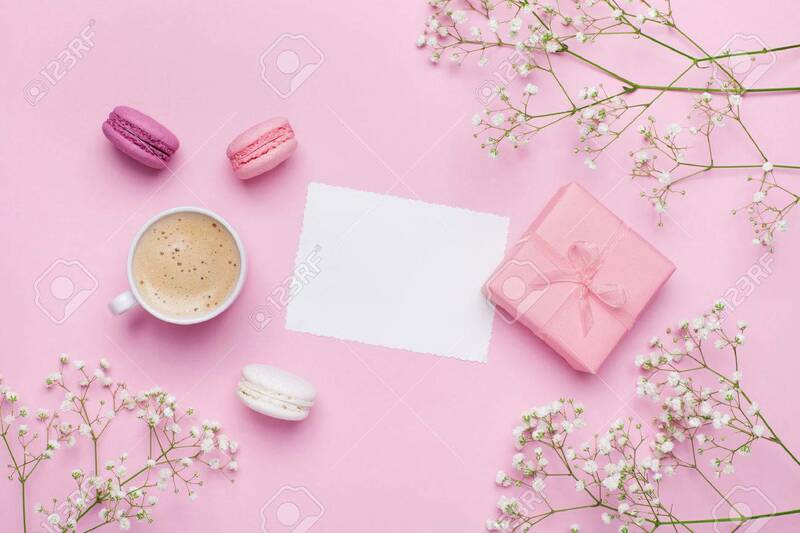 Morning Cup Of Coffee, Cake Macaron, Gift Or Present Box And Flower On Pink Table From Above. Beautiful Breakfast. Flat Lay Style. 免版權照片，圖片，畫像及圖片庫. Image 68961558. 版權商用圖片 - Morning cup of coffee, cake macaron, gift or present box and flower on pink table from above. Beautiful breakfast. Flat lay style. Morning cup of coffee, cake macaron, gift or present box and flower on pink table from above. Beautiful breakfast. Flat lay style.